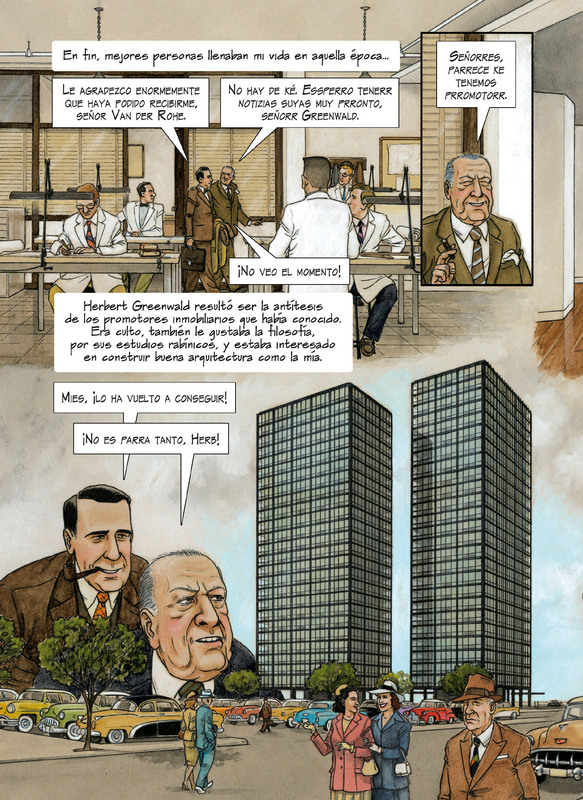 Spanish illustrator and writer Agustín Ferrer Casas has created a graphic novel about 20th-century modernist Ludwig Mies van der Rohe, featuring a prologue written by British architect Norman Foster. 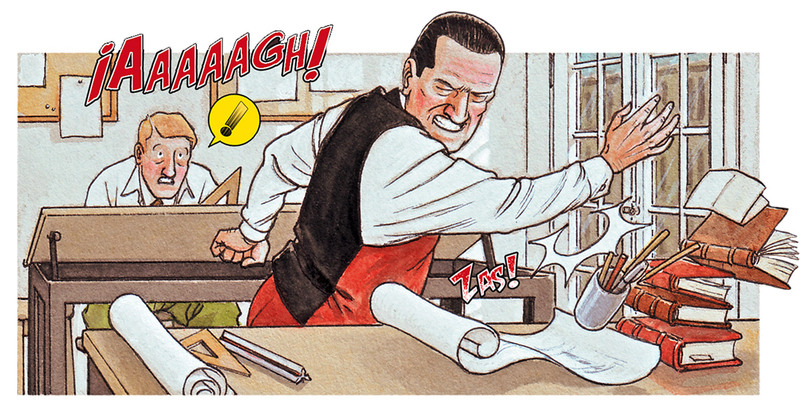 The 176-page Mies is a Spanish graphic novel outlining the life and career of the modernist architect, including his time spent at the Bauhaus, fleeing Nazi Germany, and continuing his career in US city Chicago. Designed by Agustín Ferrer Casas, an artist who lives in Spain, the project features dozens of architectural illustrations of Mies’ projects. In the comic, Casas illustrates key moments in the architect’s life, some of which are designed to be larger than life, alongside some of his most famous buildings. It does not claim to be a biography. British architect Norman Foster of Foster + Partners also wrote a prologue for the book, noting his time admiring Mies’ projects himself in New York City and Chicago. “Mies van der Rohe is one of a few architects of the 20th century who has helped shape the architecture of the present and arguably that of the future,” Foster said. “The stories behind these projects and more, including insights into his career as a teacher as well as practising architect, are elegantly and wittingly portraying in this excellent comic format,” he concluded. 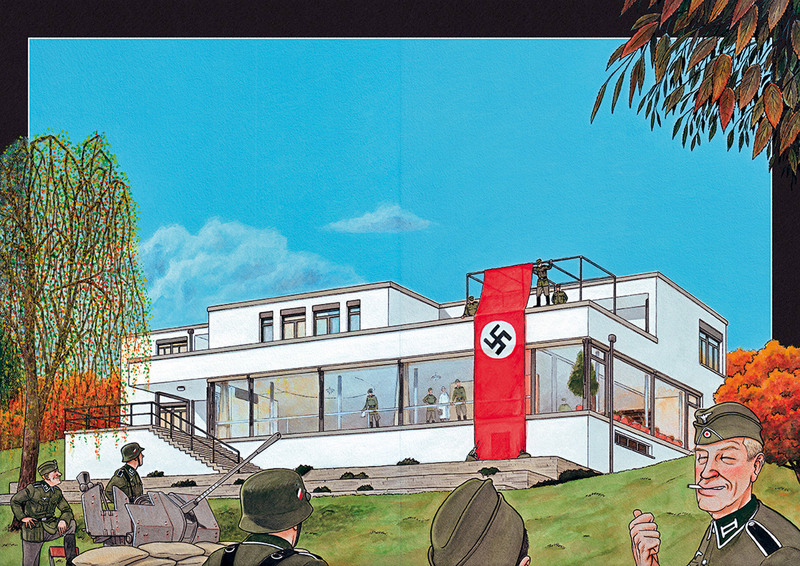 Key works feature in the graphic novel are the Barcelona Pavilion in 1929, featuring marble walls and sensuous sculpture, and when the architect was forced to close the Bauhaus school in 1933 with the onset of Nazi rule. Another notable moment is Mies’ time spent at Villa Tugendhat in Brno, which he completed in 1930. Following this, the villa was seized and bombarded by the Nazis. Other key pieces illustrated in the graphic novel include his work in developing Chicago, including some of the city’s most recognisable 20th-century architecture and his stint as head of the architecture school at the Armour Institute of Technology, now the Illinois Institute of Technology, in the 1960s. One of his most notable works in America is Farnsworth House, a single-story home wrapped in glass in Illinois, built in 1951. 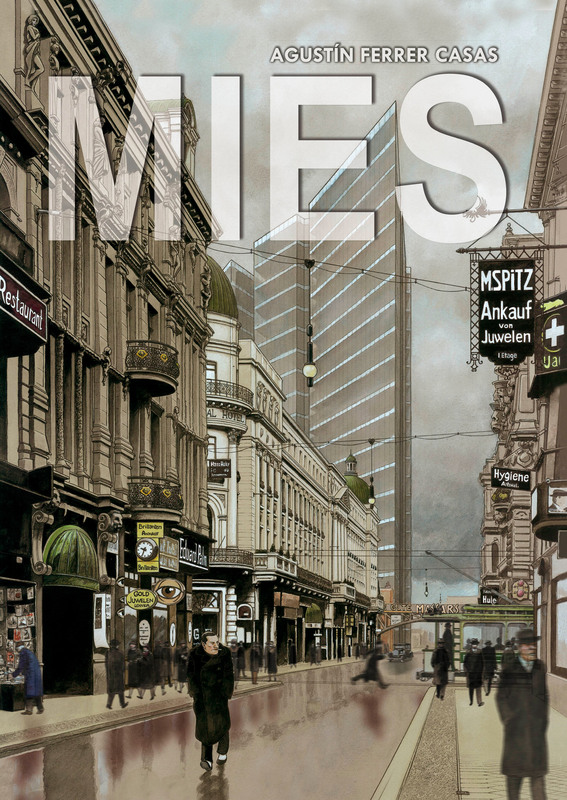 Casas first started the Mies graphic novel 2015, and it is published by Graphite Editorial. It is also presented at the Mies Pavilion in Barcelona, managed by the Fundació Mies van der Rohe. The release coincides with three anniversaries related to Mies in 2019: the 50th anniversary of his death; the 90 years of the construction of his German Pavilion for the Universal Exposition of Barcelona in 1929; and the centenary of the creation of the Bauhaus school. 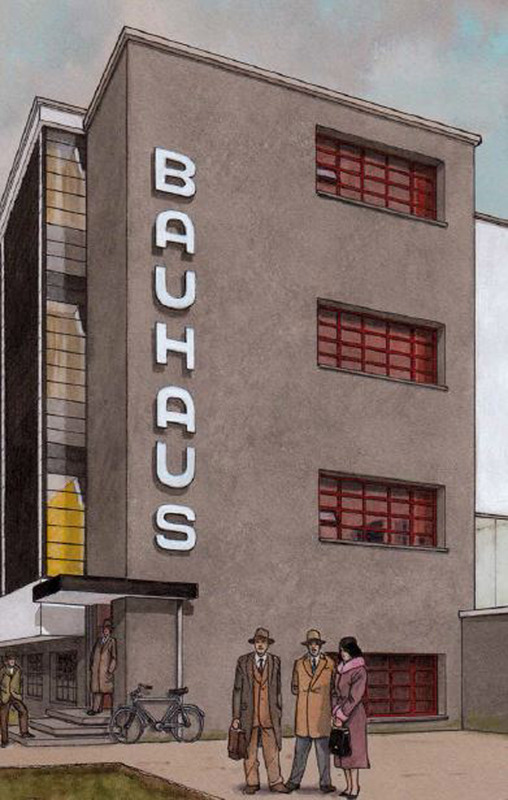 This year is a seminal year for the Bauhaus, as well as the architect, and Dezeen has launched the Bauhaus 100 initiative celebrating the school. Aside from what is outlined in the book, Mies had a diverse and lengthy career. 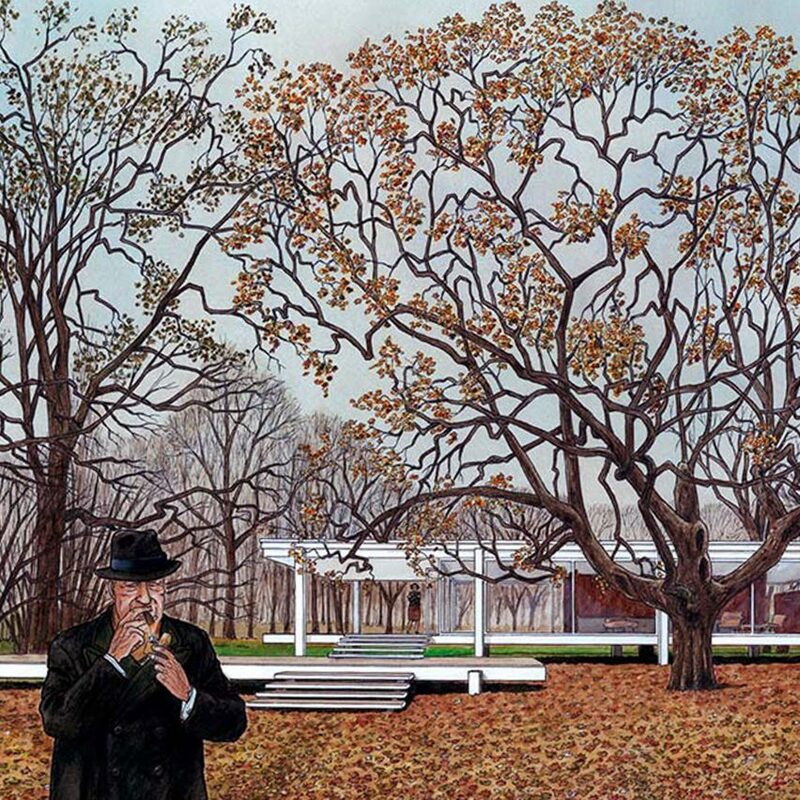 Commonly referred to as Mies, his surname, he was born in Aachen in 1886 and died in Chicago in 1969, aged 83. After first studying as an architect and working closely with Le Corbusier and Walter Gropius, he went on to serve as the final director of the Bauhaus in 1930 in Dessau. He closed institution in Berlin in 1933 after it was raided by the Gestapo. The architect fled his homeland in 1937 for Chicago, where he spent three decades practising as an architect. Key works include IBM Plaza, with its towering black, linear construction, and the residential towers of 860–880 Lake Shore Drive. Images courtesy of Agustín Ferrer Casas. 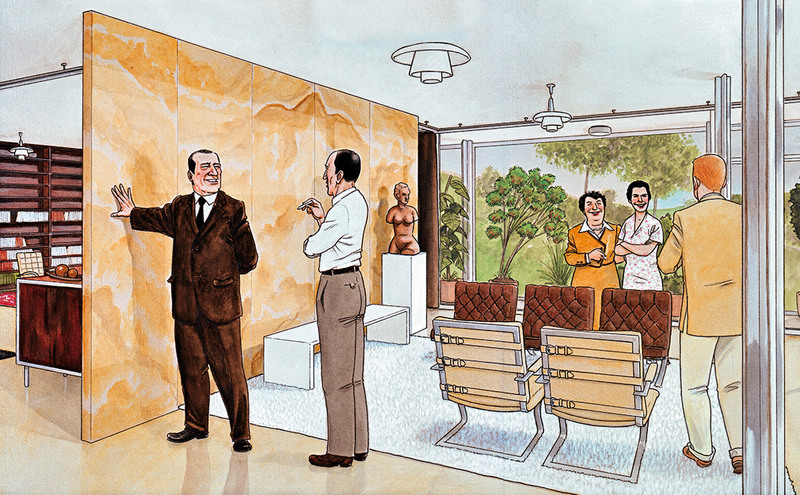 The post Graphic comic illustrates Mies van der Rohe’s work and life appeared first on Dezeen.